In the mere 20 years since it joined the EU, Portugal has been transformed into one of the most exciting and innovative wine regions in the world. Europe's fourth largest producer, it boasts incredible diversity, from the spritzy whites of Vinho Verde to the full-bodied reds and, of course, the powerful, fortified Port wines of the Douro. Excellent sweet Moscatels can also be found in the south. In the mere 20 years or so since it joined the EU, Portugal has been transformed from a country of flabby, oxidized whites and dried-out, tannic reds to one of the most exciting and innovative wine regions in the world. Investment, modern technology and knowledge have been the key drivers. Qualitatively-speaking, the Douro leads the way for the reds, epitomised by the Chryseia joint venture between the famous Symington Port family and Bruno Prats, former owner of Ch. Cos d' Estournel. Yet it is closely followed by its northern neighbours Dão and Bairrada. However, it is the large regions of the south – Alentejo, Estremadura and Terras do Sado – and Beiras in the north that laid the foundations with their excellent-value, modern, fruity reds and whites from the mid-1990s onwards. Portugal has always been a bit different from its neighbours. Historically an ally of England against the French – offering itself, at the very least, as an alternative source of wine – it isolated itself for much of the 20th century, during the 42-year Salazar dictatorship that ended in 1974. It was also responsible for some of the most successful mass-market wine brands of the 1970s and 1980s – Lancers, Mateus Rosé and Vinho Verde – but has firmly held onto its range of weird and wonderful indigenous varieties. Pockets of vines cover most of Portugal – a total of 400,000 hectares – and it is Europe's fourth largest producer (together with Germany), behind Italy, France and Spain. The country splits naturally into two halves: the north is hillier and wetter (except for farther inland), with granite, slate and schist soil. It is relatively densely-populated, with most vineyards owned by smallholders cultivating a hotchpotch of indigenous varieties. The hotter, flatter south, meanwhile, has limestone, clay and sand soil, is more sparsely populated, and boasts larger wine estates with monocépage vineyards, cultivating far more international varieties. Portugal boasts an incredible diversity of wines from the fresh, spritzy whites of Vinho Verde to the rich, full-bodied reds and, of course, the powerful, fortified Port wines of the Douro. Portugal's fortified and red wines rule the roost, although the whites show excellent potential, and not just at the cheap and cheerful end. Excellent sweet Moscatels can also be found in regions like Setúbal in the south. Tannins and acidity remain relatively high here, but the wines share a lovely, voluptuous fruit that can be seen across the range. 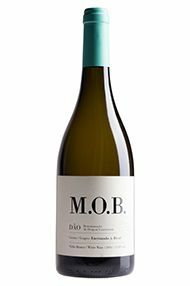 Portugal's finest white varieties are considered to be Loureiro and Alvarinho (aka Albariño) in Vinho Verde, Bical (Bairrada), the aristocratic Arinto (in southern Portugal), and the full-bodied Encruzado (Dão). For the reds, the Port grape Touriga Nacional (Douro and Dão) is its trump card, followed by other Port grapes such as Touriga Franca, Tinta Cão and Tinta Roriz (aka Tempranillo), Baga (Bairrada), Castelão Frances (aka Periquita/João de Santarém in the south) and Trincadeira in the Alentejo. Portugal's defined appellations are designated DOCs (Denominação de Origem Controlada), along with a second-tier IPR (Indicação de Proveniencia Regulamentada) – effectively DOCs in waiting – and a third, more flexible classification for larger regions, VR (Vinho Regional). 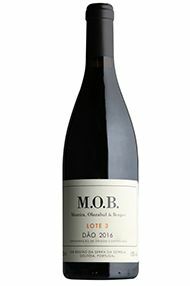 From the legendary Quinta, origin of some of the very finest vintage ports, an outstanding table wine, sure rapidly to acquire the same reputation as that of its fortified sibling. 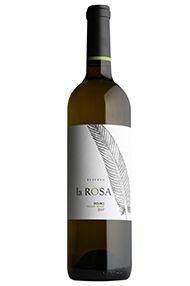 The blend is 70% Touriga Nacional, 20% Touriga Franca and 10% Tinta Amarela, all vinified separately and given an unusually long cuviason to enable maximum extraction of fruit and tannin. The wine is then aged for 10 months in 400 litre French barrels. 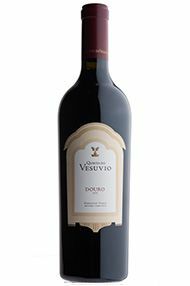 The 2007 vintage was very good, with an especially pleasing late ripening season and harvest; Charles Symington is more than satisfied with the result; here we have a wine which is balanced and finely structured with finely etched tannins providing the perfect backdrop tot the wonderful classic Vesuvio perfume and the opulent plum and raspberry fruit profile. The 2007 TINTO is a Douro blend. It is another fine “regular” Tinto in this very consistent 2007 vintage. 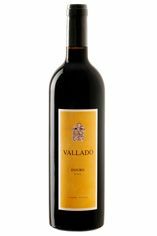 This relatively low priced Tinto has a hidden advantage in that a significant portion of its blend (27% this year) is an old vines field blend from 70 year old vines. The young vines portion (defined as 15 years old, which is fine for most people) includes Touriga Franca (25%), Tinta Roriz (20%), Touriga Nacional (20%), Tinta Amarela (5%) and Sousao (3%). Although it does not show a lot of mid-palate depth, noting that the wines from this estate are always on the more elegant side, it has fine structure and complexity, a certain earthy nuance and some brightness. It is gripping on the finish and should develop a medley of flavors as it ages. It is yet another in the string of regular or second wines in this vintage that perform particularly well at excellent price points. Drink now-2017.